Now that you’ve harvested the last of your summer vegetables, it’s time to put down your cover crop. At Farmers Coop, we’ve got one of the best cover crops available, Pennington Naturals Cover Crop seed mixture. 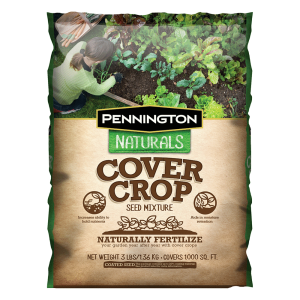 Pennington Naturals Cover Crop seed mixture comes is available in a 3 lb bag and covers up to 1000 square feet. Traditionally, we have used cover crops for two main purposes, which are erosion control and additional spring forage. Today, however, the uses and benefits of the various cover crops is varied and numerous. This entry was posted on Wednesday, July 26th, 2017 at 7:02 am	and is filed under News & Updates, Wildlife, Deer. You can follow any responses to this entry through the RSS 2.0 feed. Both comments and pings are currently closed.